Our mission is the manage the building maintenance and upkeep for masons and other related entities which partake in charity care of children. 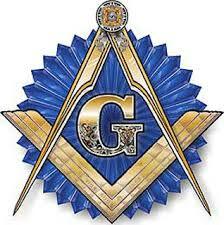 Your Sioux Falls Masonic building association wants to hear from you. We are requesting input from the membership toward making kitchen and other building improvements as well as identifying larger maintenance repairs likely needed soon. We also need to increase our operating income as it has not been sufficient to cover expenses in recent years. Additional building rental is one idea; if any has marketing or building rental promotional expertise please let us know. Other income generators are solicited as well. Per capita increases are also a possibility. Appendant bodies may have an opportunity to consider a gift for specific planned capital improvements not a part of operational expenses. Please send your ideas to our manager, Steve Mydland, [email protected] or to me, Tom Hoy, [email protected] or call me at (605) 373-9967; or mail them to the Masonic Lodge, 520 S. 1st Avenue, Sioux Falls SD 57104 by February 15, 2019. The board next meets Tuesday, February 19 in the Mayer room at 6 p.m. and will receive the input at that time. Attendance is open to anyone.